We fear what we do not know and there is a vicious cycle of fear surrounding an entire unknown population — THE PRISON FAMILY. Prison family members are unknown & feared, 1ST of all, because of the shame and embarrassment they endure just by being arrested and incarcerated or even just for having someone they love become incarcerated. Now days, when someone is arrested and thrown in the county jail, everyone immediately assumes they have done something very wrong and that makes them a very bad person. Then they assume everyone associated with the arrested person is bad, just because they care about the arrested person. Somehow society as a whole has lost sight of the belief that a “PERSON IS INNOCENT UNTIL PROVEN GUILTY IN A COURT OF LAW.” Today, we jump to the conclusion that a person is guilty upon arrest, especially if it is announced in the media. In any case, we all need to think how we would like to be judged and labeled forevermore by the worst thing we’ve ever done in life? All of us, including prisoners are the sum-total of far more than our one worst act. In fact many, there are thousands and thousands of remarkable people who are incarcerated in this country. In fact, many innocent people – TENS OF THOUSANDS of them – are arrested and incarcerated and LATER – OFTEN DECADES LATER – PROVEN INNOCENT AND EXONERATED, but they can never erase the stain from their reputation that they “just might have done something wrong.” So we have all of these people isolating and withdrawing from society in shame. They begin to become faceless and invisible, because no one can see them any more, and because no one sees them, they become unknown and feared. Then, because they are feared, prison family members isolate & withdraw EVEN MORE from the mainstream society until they become totally invisible, faceless shadow figures. There, they remain, unknown and feared, often forever — until they die alone. About 9o% of all that fear is unnecessary and if people will just hear us out and look at this documentary, they will begin to see that there is very little to fear in the first place. For example: Take a look at this picture of me standing right next to the producer of our documentary! Do I look scared? Well, according to society’s all too common belief, I should not only look scared, I SHOULD BE SCARED, because Matt Duhamel, the extraordinary intelligent person who skillfully and respectfully produced our Faces of Mass Incarceration documentary is a former prisoner! Goodness, in this incarcerated nation, the largest jailer in the entire world, why would anyone be surprised to learn that the person standing right next to them at work or even at worship or play has spent time – often a very long time – in prison? And guess what? 95% of those 2.5 MILLION prisoners who are incarcerated in the U.S. WILL BE RETURNING TO YOUR COMMUNITIES! 95%! So it behooves us to get to know them, so we don’t spend our own lives living in fear! And, by the way, exactly what should a person who has spent time in prison look like? 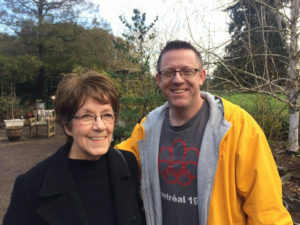 Most of the former prisoners I’ve known over the past 40 years or so look very much like Matt! Smiling, friendly, thoughtful, caring, having learned some powerful lessons and enjoying their 2nd Chance at life kind of people! As this introductory documentary reveals face after face of the remarkable people snared by our nation’s ever-growing criminal justice system, and more and more people come to know the formerly invisible human beings behind those faces, fears will subside. 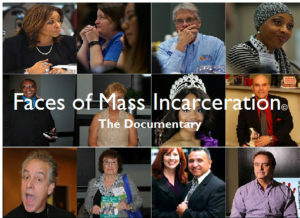 Get your download of Faces of Mass Incarceration today and begin sharing the documentary every opportunity you have — classrooms, community meetings, church groups, social justice organizations, business meetings — Do your part to eliminate the fear caused by unnecessary shame and erroneous myths that plague millions of prison families. We’d love to see your comments about the documentary. SO…Be bold. Be brave. Just take a look at this documentary and erase some of your own fears, and then show it wherever and whenever you can – at your schools; your churches; your business meetings (former prisoners make THE BEST employees! ), at your social and professional club meetings and of course at your advocacy events, and watch as fears begin to subside. Help us put faces on the prison family to reduce the unnecessary crippling fears that are actually diminishing the quality of life in our country – and that, too, is a discussion for another day.